Issaquah-based Costco Wholesale seems to have quietly passed up Whole Foods to become the biggest organic grocer as it courts a younger demographic, according to one investment bank. Costco Wholesale seems to have quietly surpassed Whole Foods to become the biggest organic grocer as it courts a younger demographic, according to one investment bank. 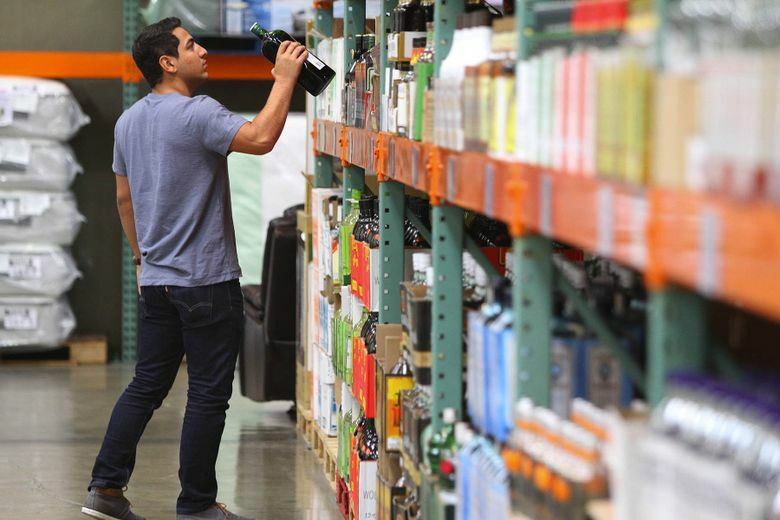 In an earnings call last week, chief financial officer Richard Galanti mentioned that the Issaquah warehouse club’s sales of organic products exceeded $4 billion annually — up from a previous $3 billion-plus estimate given last year. That means, analysts with BMO Capital Markets said in a research note, that the discount chain is “possibly now already eclipsing” the industry leader, Whole Foods, which the investment outfit estimates sells about $3.6 billion in organic stuff every year. “It started small,” Galanti said, referring to Costco’s buoyant trade in organic foodstuffs, which are grown without conventional chemical pesticides or synthetic fertilizer, or come from animals raised without antibiotics or growth hormones. “It’s still small, relative, but growing faster. And there’s certainly more supply of that out there,” he said. Costco’s organics business has doubled in the past couple of years, Galanti said. Of course, $4 billion is a tiny speck of Costco’s business. BMO expects its total sales this year to reach $114 billion. But in terms of the organic- food industry, it’s a huge number: It means more than 1 out of 10 dollars in organic food sales are made at a Costco. The Organic Trade Association, a U.S. lobbying group for the industry, estimates total organic-food sales to be around $36 billion. The numbers underscore how organic food, once the domain of alternative co-ops, farmer markets and specialty retailers, has become a mainstream phenomenon — especially among so-called “millennials,” the elusive younger demographic that warehouse clubs like Costco are eager to enlist. The organic trade group says more than 30 percent of organic-food buyers in a recent survey said “it’s not unusual” for them to buy the products at a warehouse club, a 10 percentage-point jump from a year ago. The U.S. Department of Agriculture (USDA) says that demand for organic foodstuffs is growing at double-digit rates. Big-box stores’ emergence as purveyors of organic food is likely to put the already-tight supply of these products under pressure. For example, the premium for a 25-pound sack of organic topped carrots delivered in San Francisco in 2013 rose 22 percent from the previous year, according to USDA data; the premium charged for organic avocados over conventional ones rose 14 percent. Higher prices eventually result in more supply. For example, a University of Wisconsin report published this year says that in that agriculturally rich state, the number of organic farms has grown 77 percent since 2005. The entrance of heavyweights like Costco may strengthen that supply chain, eventually.